We welcome Leila Rose Smith into our parish community through the Sacrament of Baptism this week. We wish her and her family our warmest congratulations. Please pray for them. We welcome Corah Athena Gallagher into our parish community through the Sacrament of Baptism this week. We wish her and her family our warmest congratulations. Please pray for them. We welcome Darcie Welsh into our parish community through the Sacrament of Baptism this week. We wish her and her family our warmest congratulations. Please pray for them. We welcome Zac Bobby Findlay into our parish community through the Sacrament of Baptism this week. We wish him and his family our warmest congratulations. Please pray for them. We welcome Cormac Lochran Wylie into our parish community through the Sacrament of Baptism this week. We wish him and his family our warmest congratulations. Please pray for them. We welcome TOM QUINN into our parish community through the Sacrament of Baptism this week. We wish him and his family our warmest congratulations. Please pray for them. We welcome CONNOR SWEENEY into our parish community through the Sacrament of Baptism this week. We wish him and his family our warmest congratulations. Please pray for them. 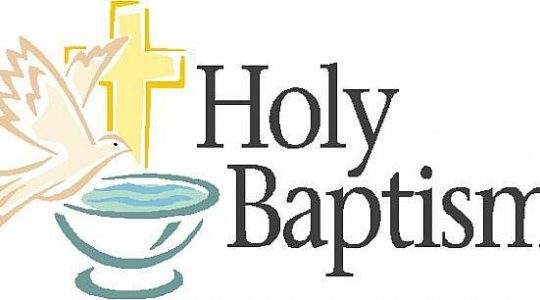 We welcome ELLIE McDOWALL into our parish community through the Sacrament of Baptism this week. We wish her and her family our warmest congratulations. Please pray for them.